**Traveling alone: add $756 for a private room (rates are based on double room occupancy). If you are looking for a something a little unconventional, this is the perfect sojourn. You will get away from the hustle-bustle of the main tourist attractions and discover the more eccentric and trendy sides of the city. 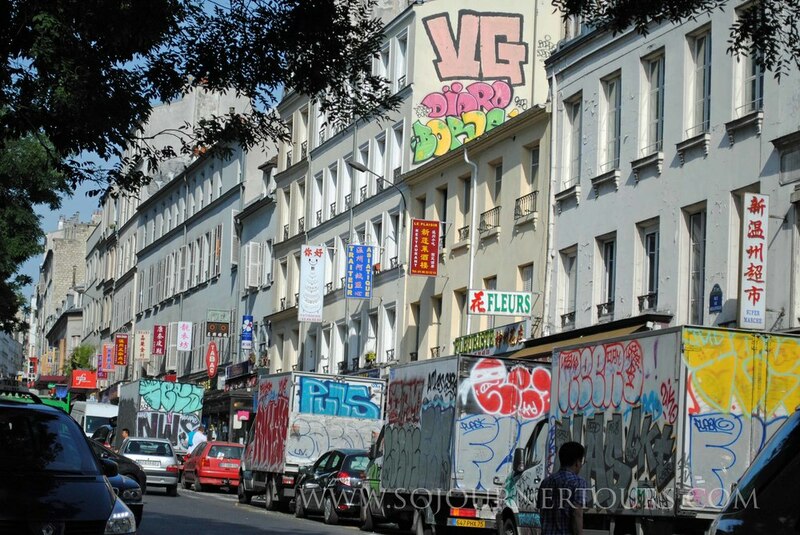 The Best Kept Secrets Sojourn in Paris brings together some of the most interesting neighborhoods frequented by locals. 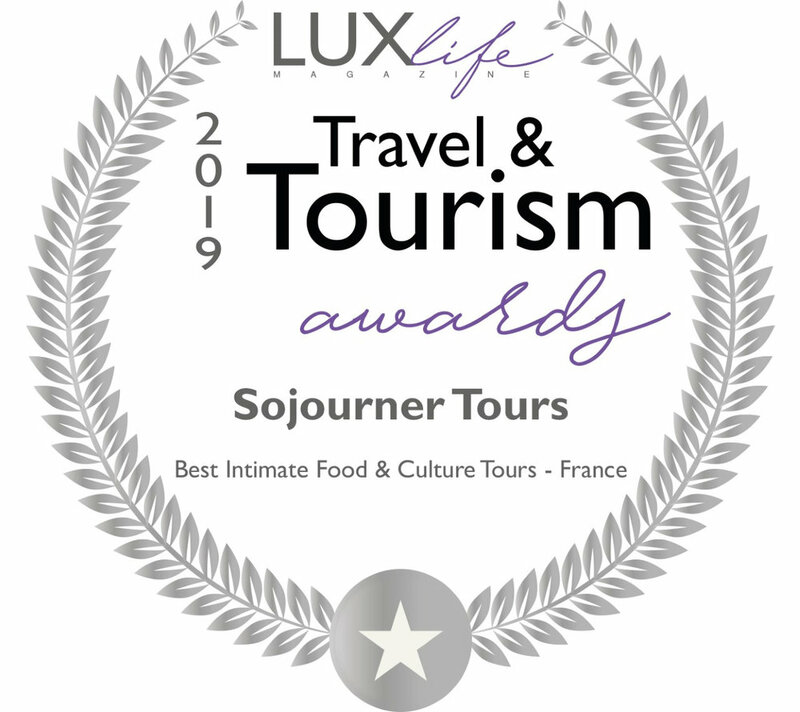 Each district of Paris has a distinct personality and this tour offers a varied assortment of atmospheres with an emphasis on the hip contemporary French culture and the diverse immigrant influences. Paris' Best Kept Secret Sights: The St. Ouen Market, the Great Mosque, small museums in the Marais, permanent market street boutiques, Belleville, The Canal St. Martin, the 19ieme. A Parisian's Perspective: You'll see the local secrets of the city that most tourists and tours miss. AFTERNOON: Upon arrival, you have time to settle into your comfortable room in the charming boutique hotel. While other guests are still arriving, you can relax at the hotel or start exploring the city as you please. Every week-end, a collection of fifteen markets with about 3,000 venders comes to life on the northern outskirts of Paris in St. Ouen. The stalls range from vintage shops to refined antique boutiques. Parisians consider Mondays the best day for bargain hunting, as many of the stalls are still open but there are far fewer shoppers around. After a guided introduction to the area, you’ll have free time to explore, shop or enjoy a coffee at your own pace. You’ll enjoy lunch in a hipster-design restaurant. In the afternoon, you can continue to browse in the markets on your own or take a guided stroll through the city of St. Ouen. You’ll have a little free time to explore the fascinating Père Lachaise cemetery with its astounding number of famous residents including Chopin, Jim Morrison, Proust, Edith Piaf, and countless others. Then you’ll stroll through a couple of outdoor markets where you’ll buy goodies for the next day’s picnic. You’ll enjoy lunch in a bistro on the trendy Oberkampf Street with its hip restaurants, cafés and specialty boutiques and have the rest of the afternoon to continue to explore at your own pace. Then you are off to Belleville, Edith Piaf’s birthplace, which is one of the most animated and hilly neighborhoods of central Paris to explore and do some urban hiking. In the heart of the area, Chinese businesses nestle up to long standing French cafés. Young Parisian artists have begun to settle into some of the charming streets around the neighborhood’s park yielding quite a few artsy shops, cheap and chic snack bars and attractive residential areas. You’ll have plenty of free time in the afternoon to explore at your own pace. You’ll start the morning by discovering the heights and depths of Paris. You’ll begin underground in the Catacombes with its tastefully piled bone-lined walls. Then you’ll ascend to the top of the Tour Maine-Montparnasse for lunch with unbeatable panoramic views of the city and the Eiffel Tower. After lunch you’ll head over to the Quartier Latin, where many college students live. Anywhere but Paris, it might seem a bit incongruous to find a mosque, a cathedral and a museum featuring evolution within a short distance of each other. Spending the afternoon immersed in the atmosphere of such divergent beliefs is a fun way to engage with the contemporary intellectual debate of Science versus Religion and experience the coexistence that is a French hallmark. The local Arabic influences will be the central highlight of your excursion. You’ll start the morning in the upper Marais visiting some of the city’s quirkier museums. You’ll be able to choose to visit the Picasso Museum at your own pace or visit the surprisingly delightful Museum of Hunting and Nature with your guide and then meet back up with the group to head to a covered market for lunch. After lunch you’ll take a quick peek in a Church that houses an exhibit of early 20th century airplanes and automobiles. Then you’ll stroll along a lively permanent market street where you’ll pop in Paris’s oldest pastry boutique that is still making desserts using recipes once served at the Versailles Palace. Next, it’s over to the most controversial modern architectural construction in Paris, the Centre Georges Pompidou which houses an extraordinary collection of modern and contemporary art. You’ll explore the museum at your own pace and meet the group on the roof for dinner and great views of the Paris skyline. Paris’s contemporary art scene is nestled in the former industrial neighborhoods of the city’s north east corner. You’ll be enthralled by the hip-hop art scene and the edgy urban revival that is unique to this part of the city. You’ll visit the top artist venues where you might get a peek at some spontaneous local music, graffiti and break dancing in renovated former factories and slaughterhouses. 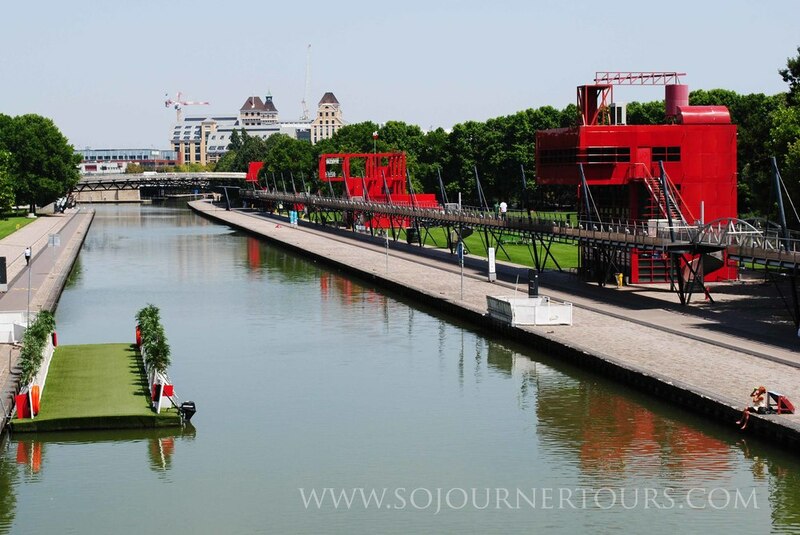 You’ll also stroll around the cobblestone banks of the canal and take in the relaxed summer atmosphere. You’ll end the evening with tapas in a trendy low key hangout tucked away in the rolling emerald hills of the Romantic “English” garden Buttes-Chaumont Park, a favorite picnic spot for locals thanks to its lush scenery and unusual views of the city.